The number of travelers increases every year, as does the number of clever products that make traveling easier. I’m sure the Pilgrims, pioneers and settlers, who made their way to this country in fragile boats and across it in rickety covered wagons, would have loved any one of these inventive products. Here is Part 2 of a list of ideas and gifts for your own use or for the travelers you love. Awesome Box – Two casualties of the digital age, to some extent, have been the photo album and the paper gift card, but the Awesome Box, a collection of photo cards presented in an elegant gift box, makes a great substitute. The collection of photos is up to you: adventures, special people, a chronical of memorable events. 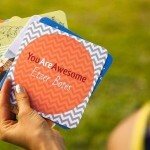 The 5.25-square-inch photos are printed on heavy stock and on the backside, your special message. 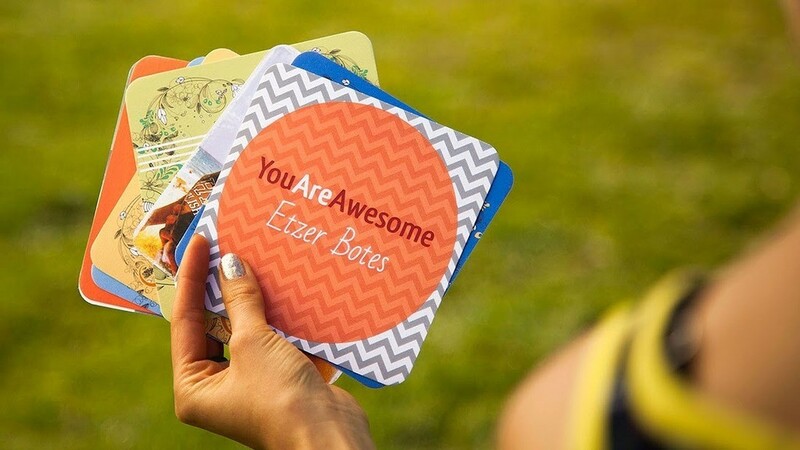 Great group gift because everyone can contribute – and from anywhere in the world. Prices are $49 for 25 cards; $79 for 50 cards, and $119 for 100 cards. awesomebox.com. 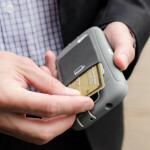 CardNinja – Sometimes less is more – especially when it comes to wallets and cellphones. The CardNinja solves the too-much-bulk problem. It’s a self-adhesive wallet that sticks to your cell phone and holds up to eight cards. Just peel and stick. Made of high-quality Spandex. 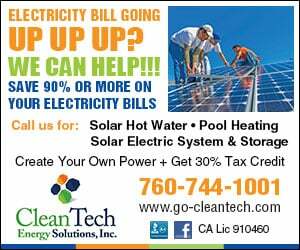 Compatible with Android, iPhones and Windows phones. 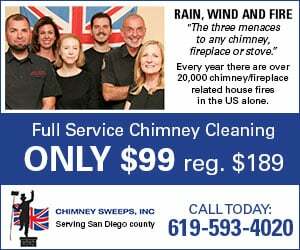 Models start at $10. www.cubi.co. 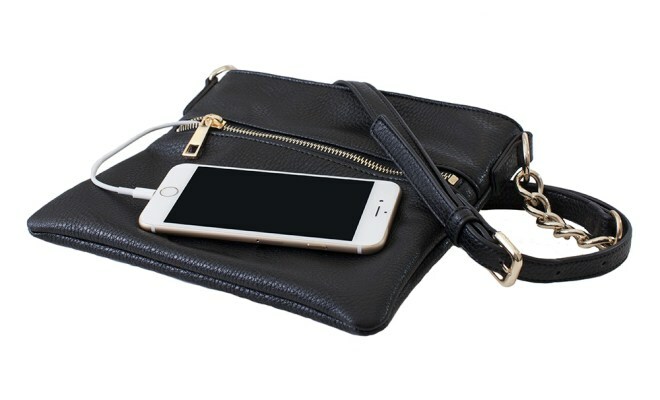 Crossbody Power Purse – Stay charged on the go with the Crossbody Power Purse from Chic Buds. The bag is an attractive way to assure your phone doesn’t die at an important moment. The lightweight, ultra-thin 3000 mAh battery, concealed inside the purse and accessible through the zippered front pocket, means you don’t add much to your load. The purse has plenty of room for other essentials. It measures approximately 9 inches by 10 inches. Comes in a dozen colors. 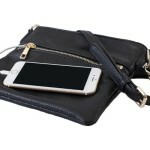 http://chicbuds.com/all-products/power/crossbody-power.html. Wraps Wristband Headphones – It is a law of the universe that earbud cables can, on their very own, morph into a tangled mess both when worn or left in a drawer. 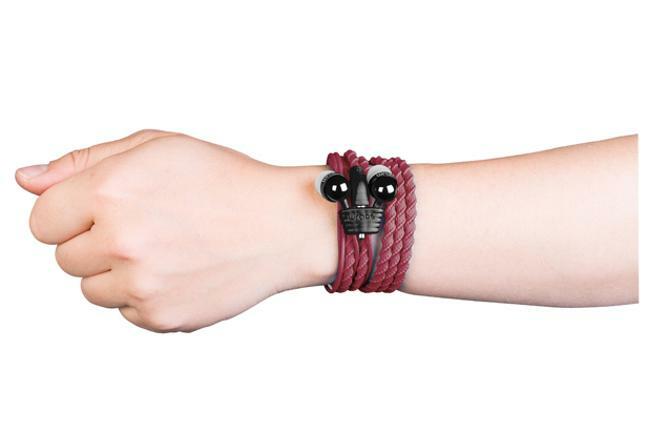 Wraps Wristband Headphones don’t solve this mystery, but they do solve the problem. The thick, brightly colored cables can be wrapped around your wrist, keeping the headphones safe and untangled. And if you are under 30, Wraps make a fashion statement, too. Fits any wrist size, and comes in multiple colors. Choose heavy textile, leather or wooden beads. $22 to $43. https://mywraps.com. 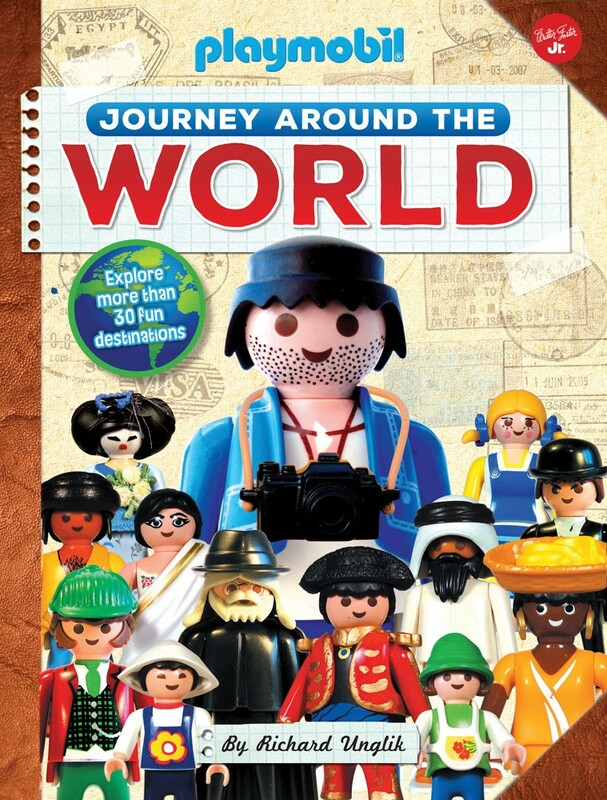 Book-Journey Around the World – This vibrant, whimsical book chronicles the world travels of French photographer Richard Unglik, who has a big thing for Playmobil figures. 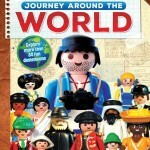 Combining his creative skills and the colorful little people, he’s produced a book about the more than 25 countries that he has explored. It’s a fun, sometimes humorous read for kids of all ages (that means adults, too). The narration focuses on important facts about the countries and dispels some myths (i.e. Holland is just one of the Netherlands’ regions.) Unglik even recreates masterpiece paintings with Playmobil people. Book comes with a 31-inch-by-24-inch, full-color world map, highlighting the counties the photographer has visited. The book measures 9.5 inches by 12 inches. $19.95. Due on bookshelves in May. 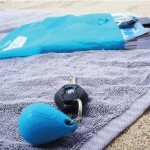 Matador Droplet Wet Bag – Have you been stuck with a wet bathing suit or laundry that you had to pack? 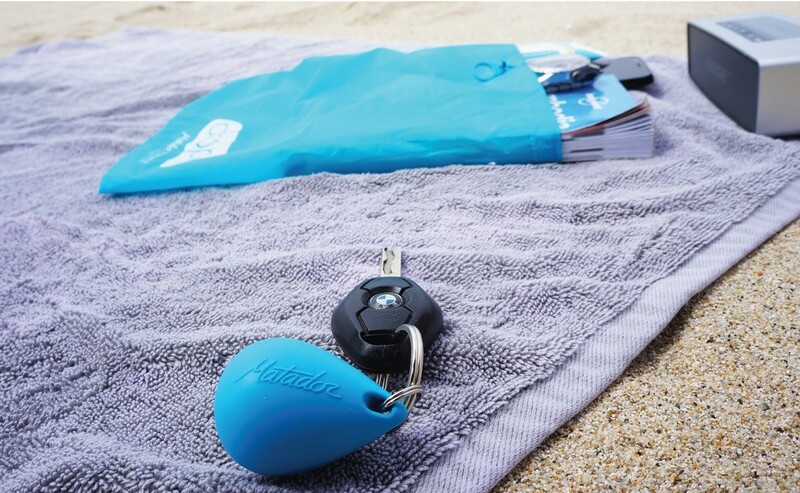 The Matador Droplet Wet Bag is made for just such a travel mini-emergency. When not in use, the bag fits in an amazingly small, plastic, drop-shaped container that fits on a keychain or in your purse or pocket. The waterproof bag is great for travel with kids, for those unexpected accidents or for hauling home those sweaty workout clothes. $15. www.matadorup.com.